Congratulations to the Phase I Chapter 6 winners of Treasure Hunt Six: 9th grade Global Awareness students from Union County Early College High School! 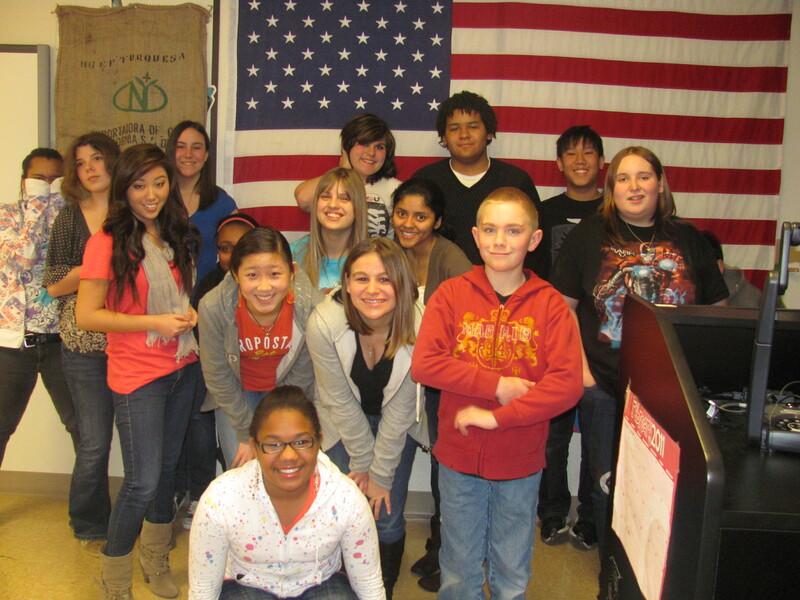 Each year, teacher Melissa Cook challenges her students to complete the ThanksUSA Treasure Hunt. 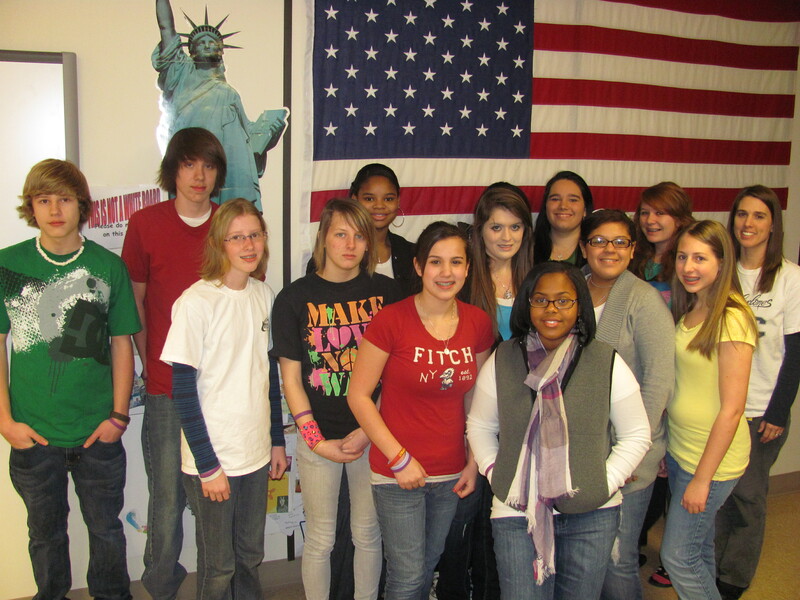 Though the students and subject matter may change, Melissa’s guidance seems to be paying off…students from Union County Early College High School have won a prize in each of the past five ThanksUSA Treasure Hunts! 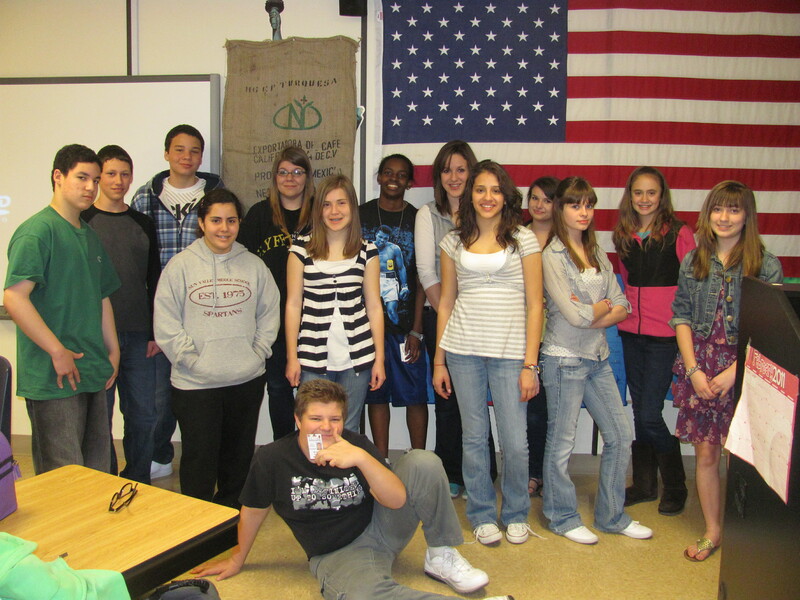 This year’s students have won a $1000 Barnes & Noble gift card to purchase supplies for their school. Mrs. Cook says, “Thanks again for a great treasure hunt! Students look forward to playing and it is an excellent opportunity to teach them more about our troops.” Thank you, Mrs. Cook, for making the ThanksUSA Treasure Hunt such an exciting supplement to your curriculum and congratulations again! As the TH6 Chapter 1 winners, these Bishop Woods Elementary School students recently took a special trip to Barnes & Noble to purchase $1000 worth of books for their school! 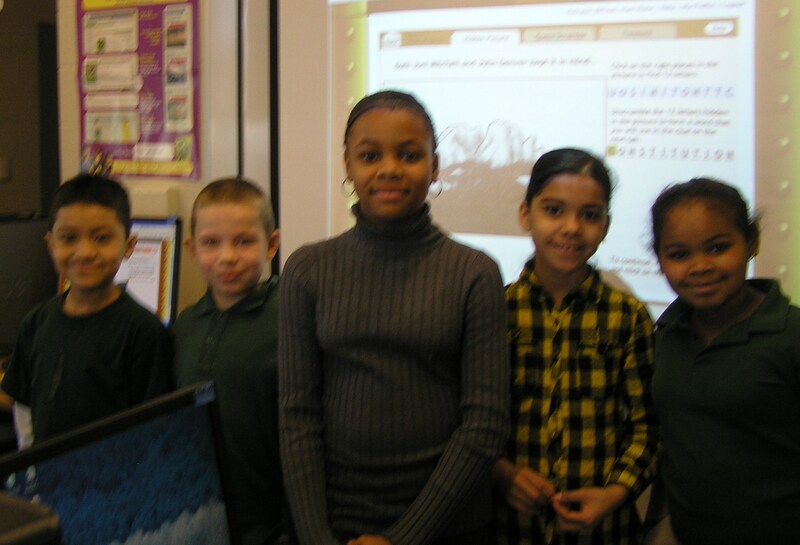 Pictured from left to right are Neftali Merino, Derek Gonzalez, Diamond Jackson, Wilmariz Vidro, Anayls Rivera. Not pictured, but equally important to the success of the Bishop Woods winners is Binisha Adhikari. Our sincerest congratulations again to Bishop Woods and our appreciation to Dr. Lowery for guiding their winning efforts! Dr. Lowery reports that the children have a great time participating in the hunt and are excited learners. One student reports, “We are learning to be better readers and researchers – you have to read the clues looking for key words to search for just like when you read non-fiction and have to look for the main idea in a paragraph.” Well said! I want all of our school and youth group registrants to be eligible to win. If there is a specific clue that just has you stumped, please leave a comment or send me an email at sherrykoch@thanksusa.org. Good Luck! The winners for Chapter 3 and Chapter 4 have been selected and I am in the process of verifying/notifying them now! 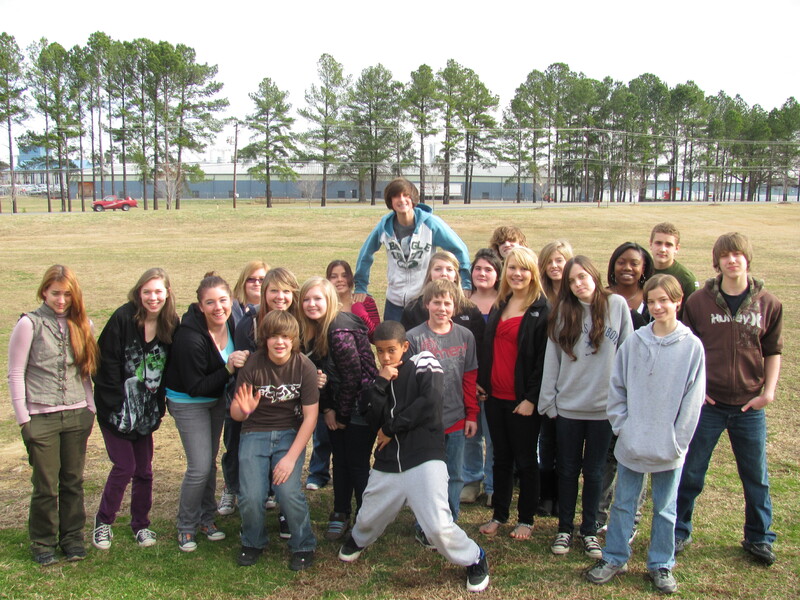 The final Phase I (school & youth group) Treasure Hunt Six deadline is May 19, 2011. To qualify for the final deadline, your school or youth group must successfully complete any of the final three chapters. As you progress through the hunt, the chapters (and clues) can get trickier, but don’t give up! We want your students to complete the hunt and I am here to help you do that. We have about nine weeks to complete the final three chapters, so I want to hear which clues are giving you the most difficulty. If your class/group has already completed the entire hunt, please encourage your students to participate at home with their family members. Phase II of Treasure Hunt Six is for individual participants. The Phase II deadline for all chapters and the grand prize is August 15, 2011. There are several keywords int his clue, so you want to be very selective. Let me start by directing you to the best resource for this entire chapter: www.NPS.gov What better place to get reliable information than directly from the National Park Service?! When you visit the NPS website, look to the right on the home page and you will see a “search block” that will help you tremendously with this chapter – and maybe inspire your next vacation! 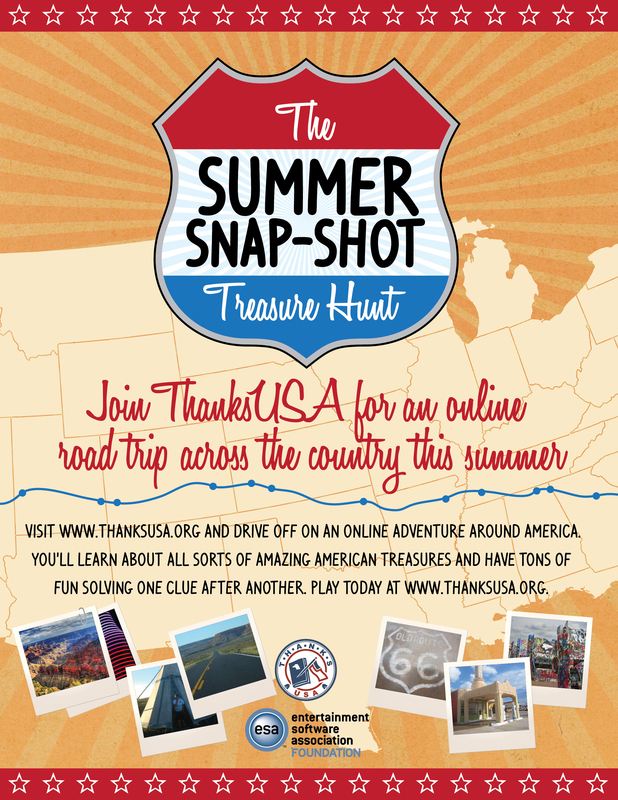 Of course there will be more ThanksUSA Treasure Hunts! In fact, on Sunday, June 6, ThanksUSA will premiere our Summer Snap-Shot…a series of weekly Americana clues for you to solve. Each week, we will post a new clue on our website. If you submit a correct answer by the following Saturday, you will be entered to win an iPod! There will be a total of twelve weekly clues and if you correctly answer all twelve clues, you will be entered to win the summer Grand Prize – a Flip Video Camera! So, where in America will you be travelling this summer? Send us your Summer Snap-Shot and we’ll post it here and our Facebook Fan page. Even if your family is planning a “staycation” this year, send us a photo – you might inspire someone to visit your city or state! Still working on Phase I of TH5? Let me know if you get stuck and we’ll cover the clue in an upcoming Treasure Hunt Five blog…just leave a comment below. Good Hunting! Kwai Kwai Nedobak! Welcome back to the Treasure Hunt Five blog. This week we’ll explore the Abnaki language to solve a clue from chapter 6, New Hampshire. 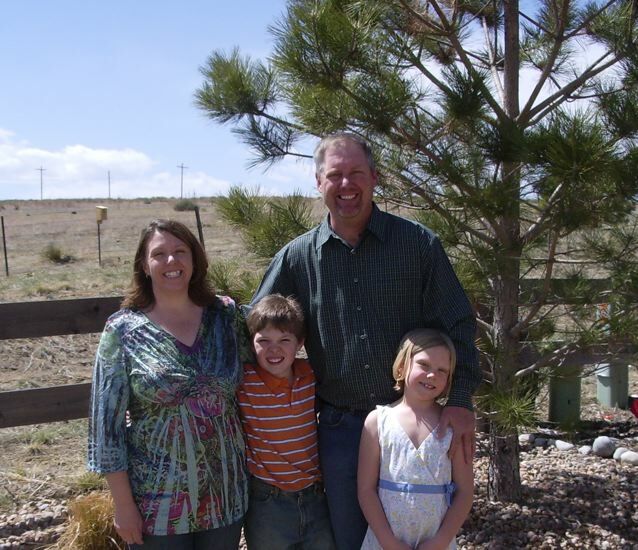 But first, I am pleased to introduce the Phase I winners of chapter 4, the Happy Homeschoolers/the Young family! For successfully completing one of this years toughest chapters, the Youngs won a $1000 Walmart gift card to purchase school supplies. 18. Canobie (Lake) means this in the Abnaki language. I hope you have fun discovering the Abnaki tribe. Until next week, Wli Nadialowôgan!